Before the CoreLife Challenge, I visited the pharmacy daily to get my blood pressure checked. Initially, it was 165/105 – worse than at the doctor’s office. The pharmacy clerk urged me to take the prescription, saying I could not bring it down without medication. I told myself: “Trust the process.” Even when no one else does. Finally, to avoid the embarrassment, I bought a pressure cup. Believe it or not, my pressure had reached normal levels by just the fifth day of the CoreLife Challenge! In the days to follow, my pressure would pop back up. I remember Todd advising that the dietary change is not the only way to transform my body. I acknowledged that supplements were necessary, but which ones? I was not getting all the results I was expecting. In trusting the process of getting healthy, I began to dig a little deeper. I read about the five foods to avoid. I discovered the benefits of a liver cleanse regimen. The foods that were recommended on that regimen? 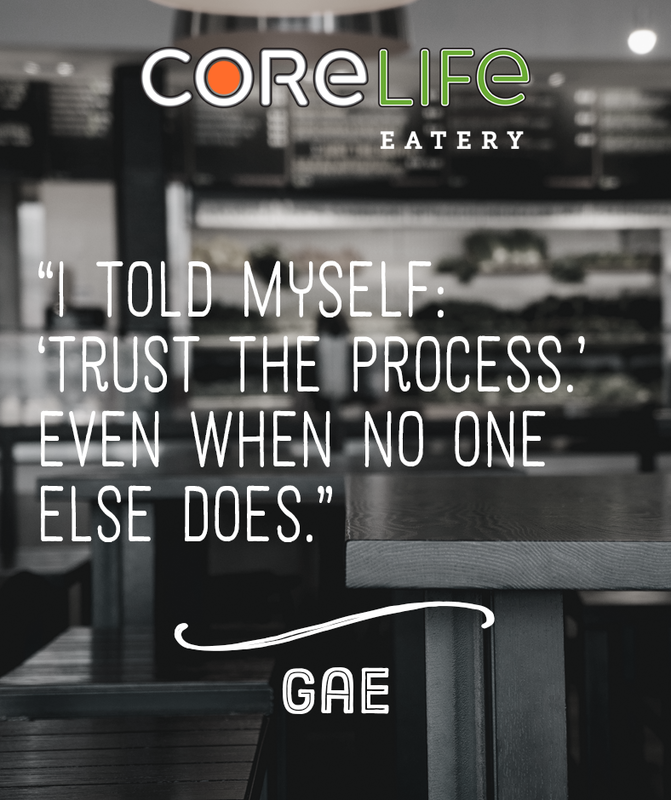 Of course, they were on the CoreLife menu!